- Draper, V grounded out to p (2-1 BKB). - Yan, Z singled to left field (1-1 BF). - Xiaoqing, W grounded out to 1b unassisted to shortstop (2-1 KBB); Yan, Z out on the play. - Miller, C singled through the left side (1-1 BF). - Miller, C stole second, advanced to third on a throwing error by c.
- Huaining, Y grounded out to ss, RBI (2-2 BBKS); Miller, C scored, unearned. - Robinson, S singled to left field (3-2 FSBFBBFF). - Rhodes, J flied out to cf (1-1 KB); Robinson, S no advance. - Robinson, S runner left early, out at first 1b unassisted. - Mengmeng, L popped up to ss (1-2 KFB). - Minghan, Y struck out swinging (3-2 BKFFBBS). - Huiqi, Y flied out to lf (1-1 BS). - Jing, Z struck out looking (1-2 BFSK). - Xun, S flied out to cf (0-1 F). - Yue, X fouled out to ss (3-2 SBFBBF). - Jiaxin, X grounded out to 2b (0-2 KF). - Jie, X popped up to 2b (1-0 B). - Bei, W struck out looking (1-2 FBFK). - Na, L struck out swinging (2-2 BFKBS). - ZiXuan, D struck out looking (2-2 SBFBK). - Miller, C fouled out to 3b (0-0). - Draper, V singled to shortstop (0-1 F). - Yan, Z out at first 3b to 2b, SAC, bunt (0-0); Draper, V advanced to second. - Xiaoqing, W struck out looking (0-2 FSK); Draper, V no advance. - Mengmeng, L flied out to lf (0-2 KF). - Huaining, Y grounded out to 2b (1-2 KBF). - Robinson, S singled through the left side (0-0). - Rhodes, J singled up the middle (1-2 FKBF); Robinson, S advanced to third. - Jing, Z reached on a fielder's choice, bunt, advanced to second, RBI (0-0); Rhodes, J advanced to third; Robinson, S scored. - Xun, S fouled out to cf, RBI (1-2 KBF); Jing, Z advanced to third; Rhodes, J scored. - Yue, X singled to shortstop, RBI (0-2 KK); Jing, Z scored. - Yue, X advanced to second on a wild pitch. - Na, L doubled to left center, RBI (3-2 BFKFBB); Yue, X scored. - ZiXuan, D popped up to ss (1-0 B). - Minghan, Y grounded out to 2b (1-2 KKBFF). 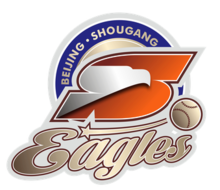 - Huiqi, Y fouled out to 3b (1-1 BF). - Jiaxin, X singled to right field (0-0). - Jie, X singled to right field, advanced to second on a fielding error by rf, advanced to third, RBI (1-1 KB); Jiaxin, X scored, unearned. - Bei, W grounded out to p (0-2 KFF). - Miller, C singled up the middle (3-1 BBFB). - Huaining, Y singled to third base, bunt (0-0); Miller, C advanced to second. - Robinson, S flied out to cf (0-0); Huaining, Y no advance; Miller, C advanced to third. - Huaining, Y stole second; Miller, C no advance. - Rhodes, J grounded out to 3b, RBI (1-0 B); Huaining, Y advanced to third; Miller, C scored. 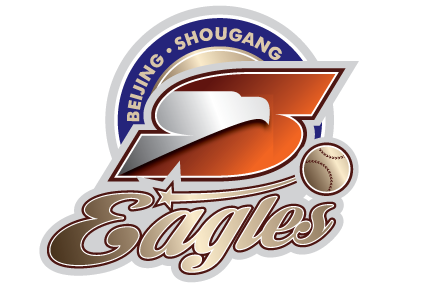 - Jing, Z singled to shortstop, RBI (2-2 BFKBF); Huaining, Y scored. - Xun, S walked (3-0 BBBB); Jing, Z advanced to second. - Yue, X popped up to ss (2-1 KBB). - Yang, C to rf for Xun, S.
- Draper, V grounded out to ss (1-1 SB). - Yan, Z grounded out to 1b unassisted (0-0). - Xiaoqing, W grounded out to p (0-1 K). - Na, L grounded out to ss (1-2 FBK). - Junyi, X pinch hit for ZiXuan, D.
- Junyi, X flied out to lf (1-1 FB). - Miller, C singled through the right side (1-0 B). - ZiXuan, D to lf for Junyi, X. - Minghan, Y hit by pitch (0-1 K). - Huiqi, Y flied out to cf (1-0 B); Minghan, Y no advance. - Jiaxin, X grounded out to ss (2-2 BFFB).